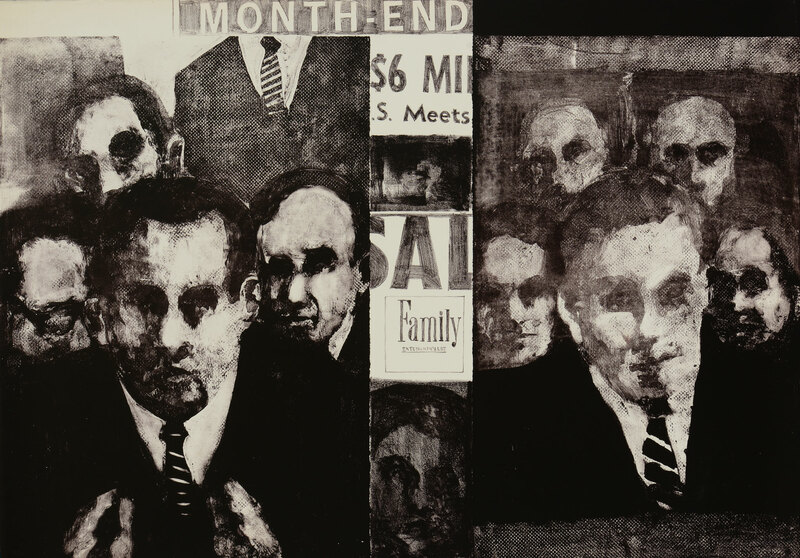 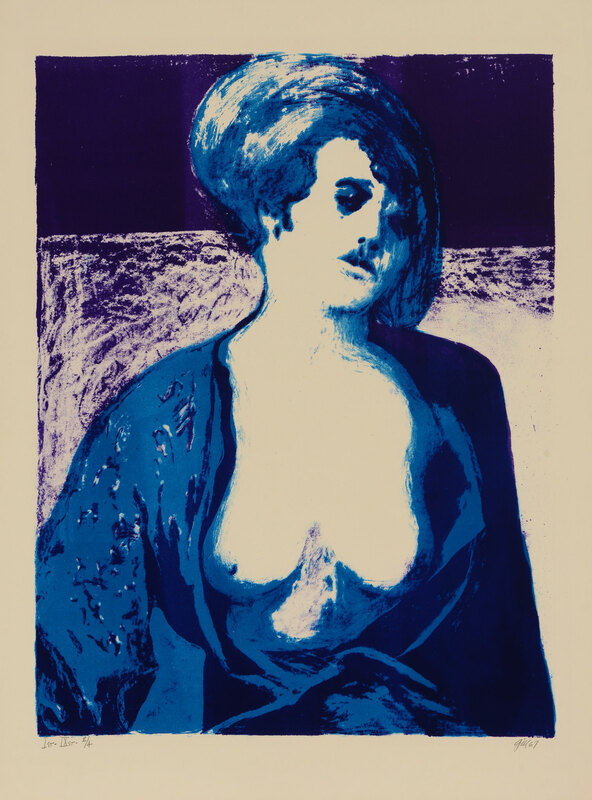 Kenneth E. Tyler [born December 13, 1931] established leading print workshops and Publishing houses on both West and East coasts of the United States and made several innovations in printmaking technology. His technical expertise and willingness to experiment on a bold scale drew many famous and influential artists to his workshops, among them Frank Stella, Helen Frankenthaler, Roy Lichtenstein, David Hockney, Robert Rauschenberg, Anthony Caro and Jasper Johns. 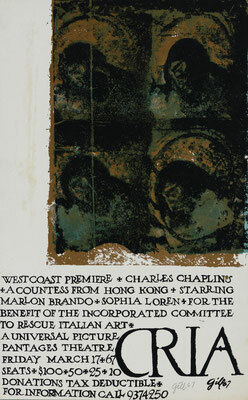 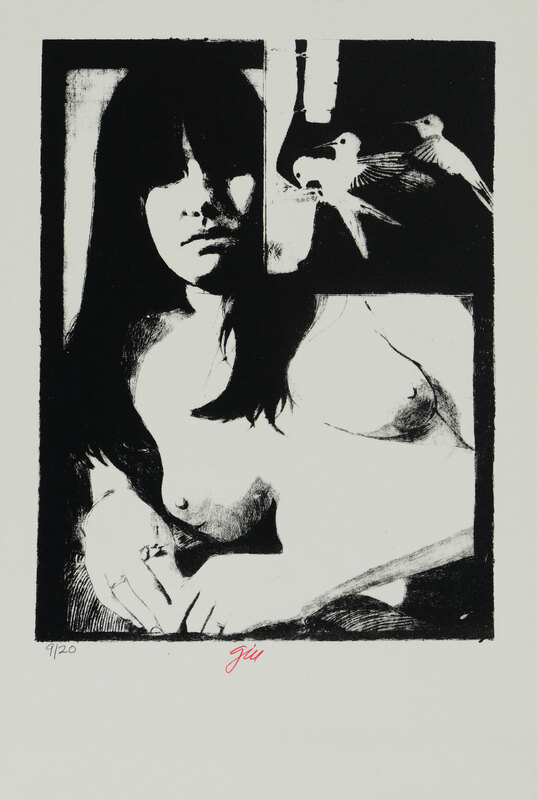 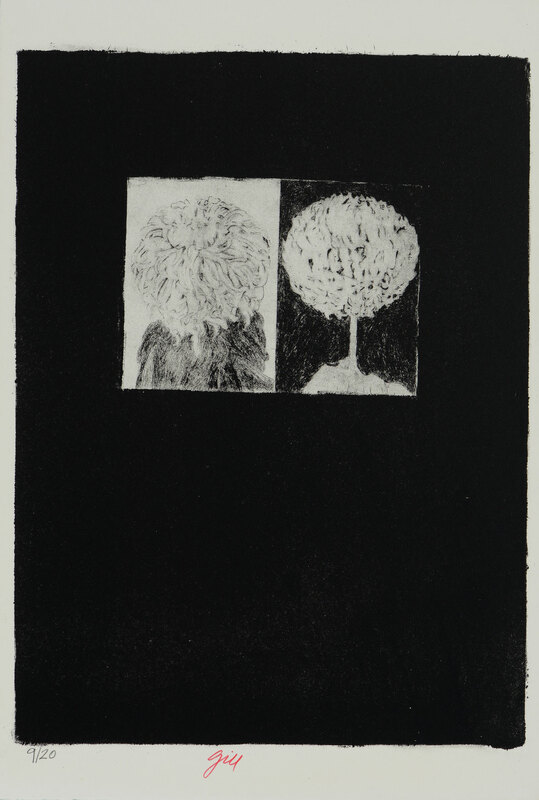 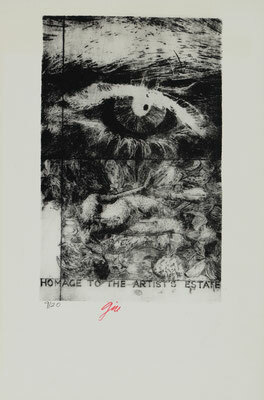 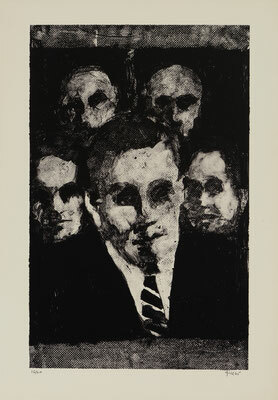 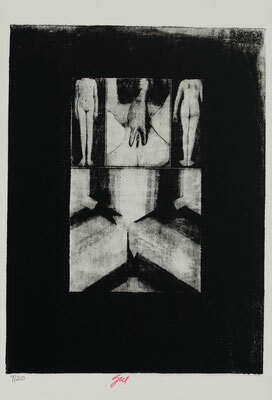 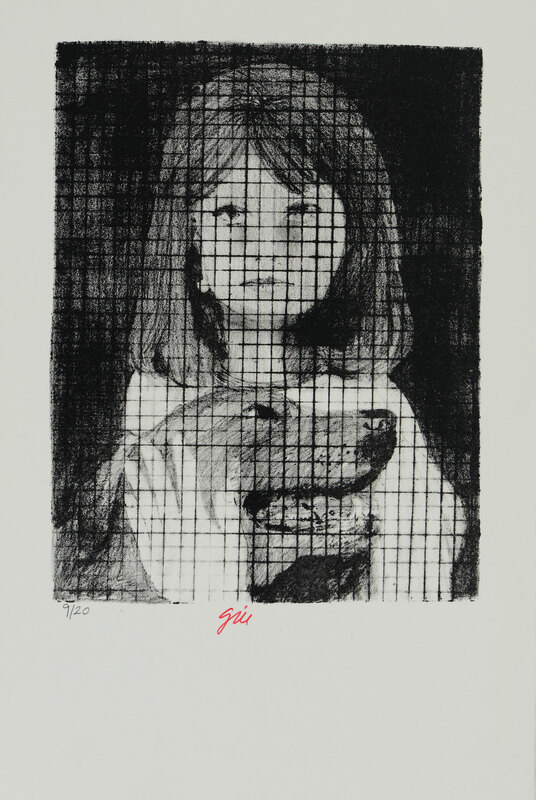 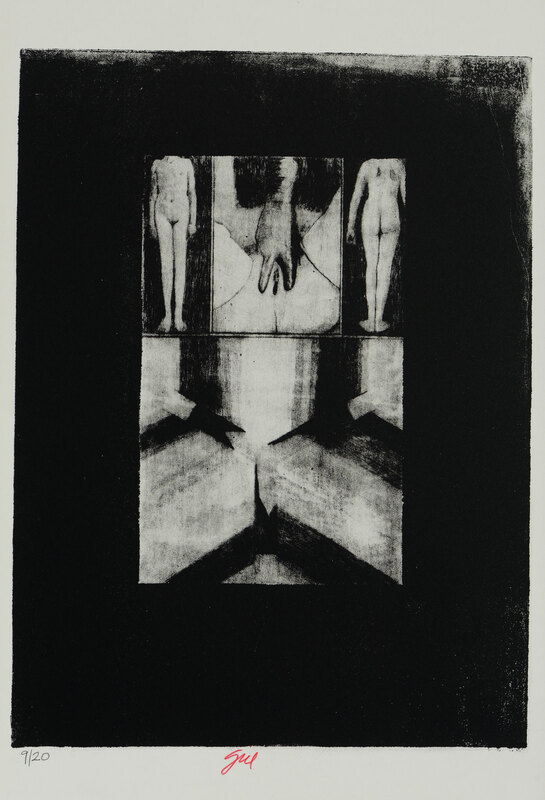 During his years in Los Angeles, Gill created the 8 piece-series ‘Horrors of Peace‘ in which he utilized an intaglio process, engraving on aluminum. 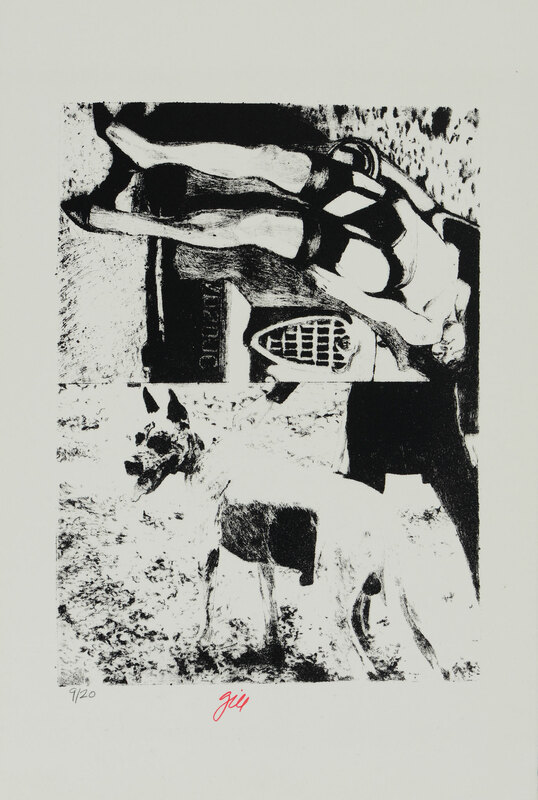 These images were made rather quickly and printed using a small tabletop press he had at home. 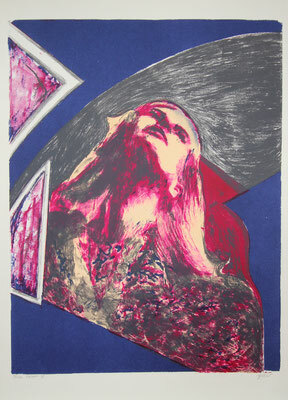 The soft aluminum proved to be a hindrance in making more than 20-25 prints, not the one hundred he hoped for, before the image became too weak to be used. Gill was inspired by Francisco Goya´s ‘The Disasters of War‘. 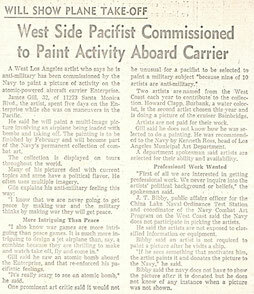 He created the ‘Horrors of Peace’ series in a time of peace, but according to his viewpoint atrocities were still happening. 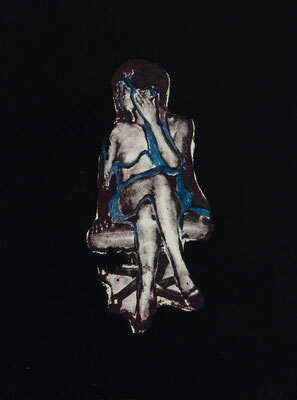 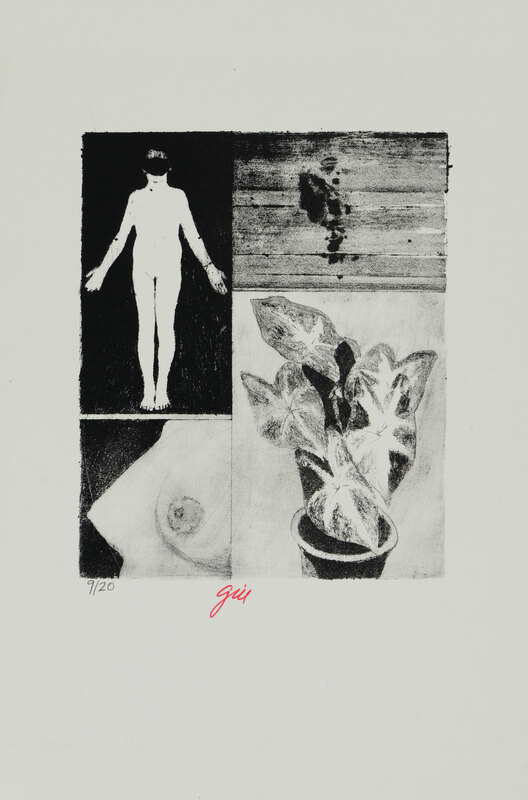 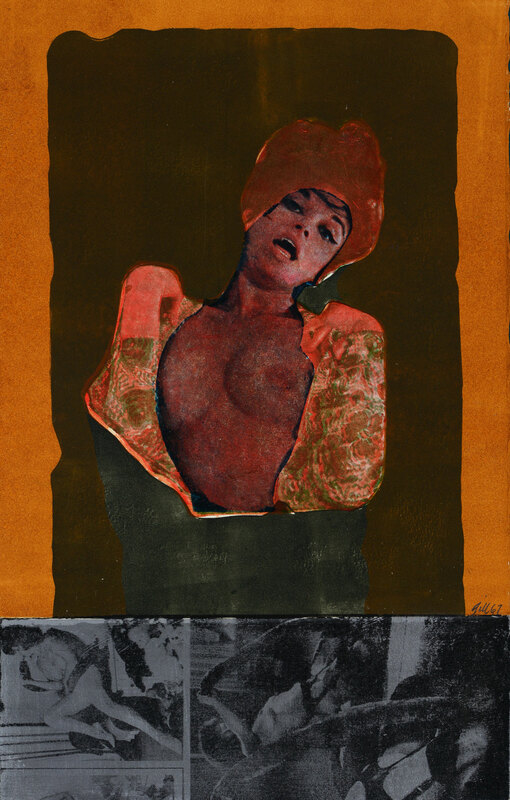 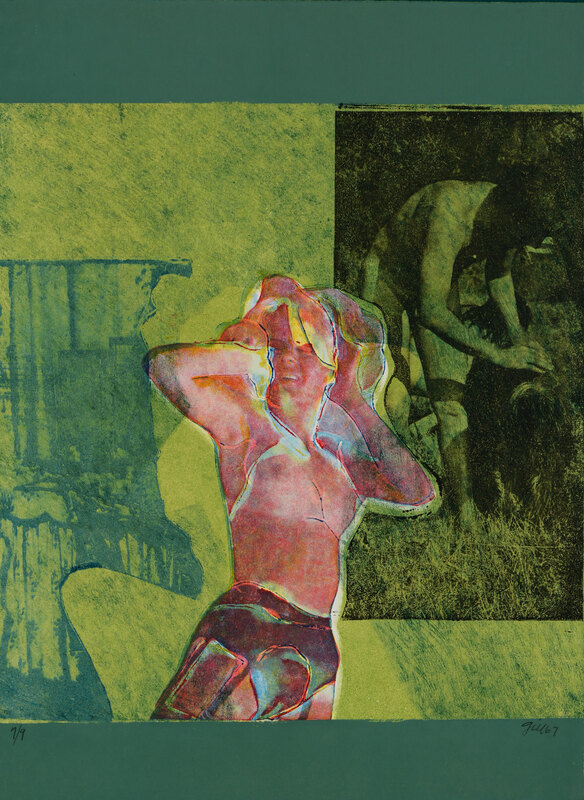 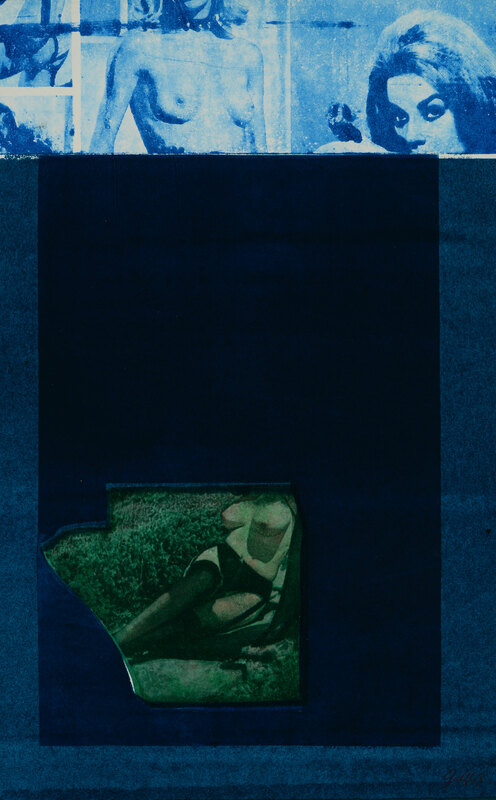 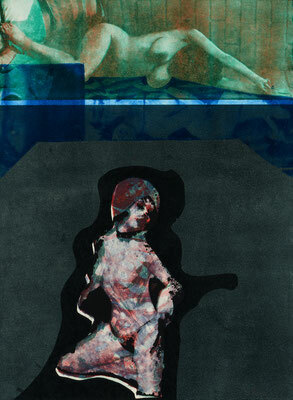 Gill juxtaposed different images to create a provocative collage, that makes the viewer think. 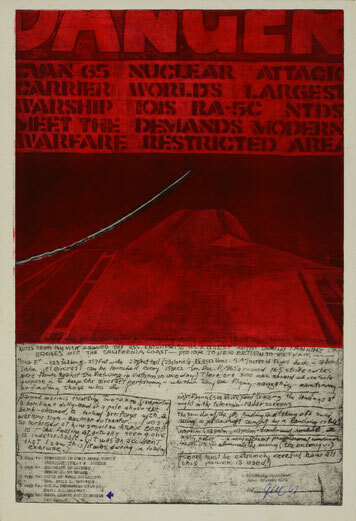 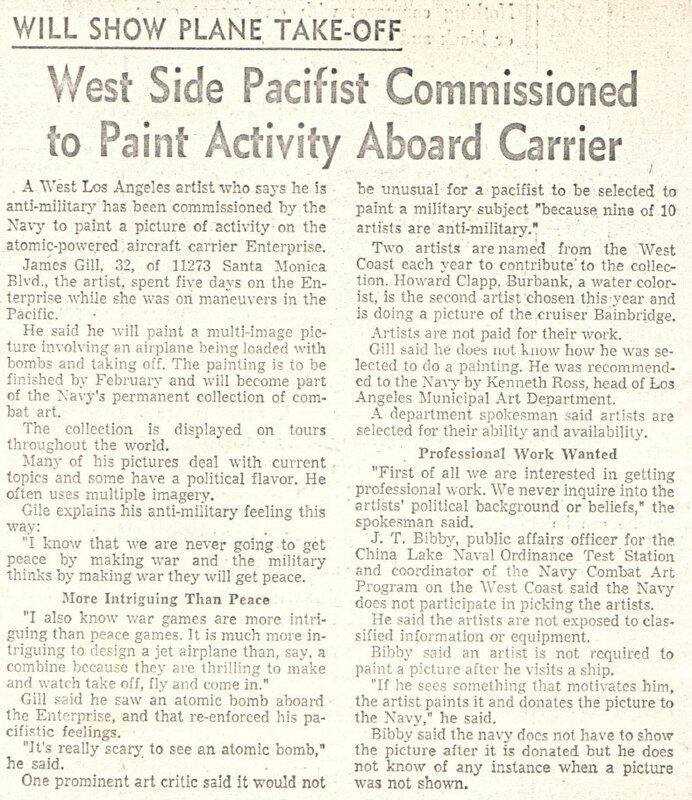 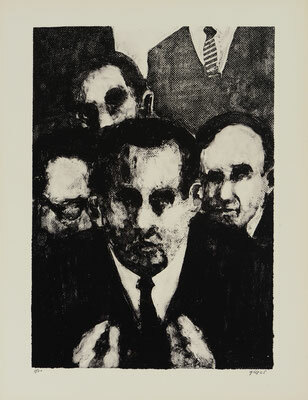 1966 Gill was asked by the Navy to join the ‚Navy Art Cooperation and Liaison Program‘ For that purpose, he was invited on board the first U S S Enterprise The original of ‚Sincerely Disturbed - Danger’ is in the permanent collection of the National Museum of the U S Navy, Washington DC.